Coming off a tough series against the Tampa Bay Rays, the Yankees opened up another series at home against the Kansas City Royals, Monday night in the Bronx. The Bombers were just 3-3 in their last six games, and needed a win to start another hot streak and keep pace in the division. Big Michael Pineda got the start Monday night and gave the Yankees just over six quality innings allowing just two runs. 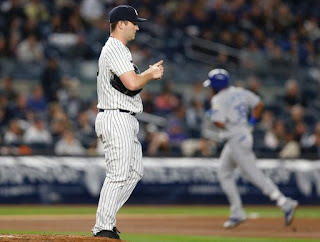 The Bombers, who once again were forced to face what has been the Royals best pitcher in Jason Vargas, scored three runs on during his six-inning outing, and Chris Carter was able to add an insurance home run in the seventh inning to secure the Yankees 4-2 victory. 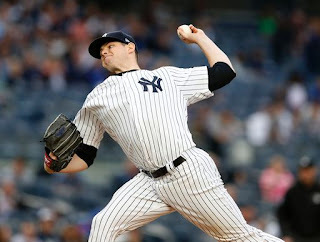 Tuesday night in the Bronx lefty Jordan Montgomery (2-3, 4.81 ERA) took the mound attempting to help the Yankees get their third win in a row. For the Royals, Danny Duffy (3-3, 2.97 ERA), was on the hill and in his last start, which was against the Yankees he pitched seven innings of shutout ball. On a beautiful Tuesday night in the Bronx, the Yankees would flip roles from the last time they faced Duffy. The bats remained silent until the bottom of the fourth inning when Aaron Hicks hit a solo home run on a fly ball to right field. During the fifth inning Chris Carter hit his second homer in as many nights, on a deep shot to center field. After five innings, it was 2-0 Yankees and Montgomery had allowed just one hit. In arguably his best start in the majors, Jordan Montgomery was keeping his pitch count low, and trusting his stuff all night long. During weeks like this where the Bombers have no days off, it is important for the starting pitchers to not only give the Yankees zeros, but give the team quality starts. After Pineda went six and a third innings last night, Montgomery was able to carry his start into the seventh inning as well. Coming into the bottom of the seventh inning below 80 pitches, and only allowing one hit it looked as if Montgomery was poised to get through seven. However, Lorenzo Cain homered on a fly ball to left field that put the Royals on the board and the night was done for the young lefty after six and two thirds innings. With two outs, Joe Girardi called on Adam Warren to come in and get out of the inning with the Yankee lead in place. Unfortunately, Salvador Perez was able to single on a line drive to right field, and Jorge Bonifacio followed that up with a line drive home run to right center field. After seven innings, and a great start by Montgomery the Bombers found themselves down 3-2. 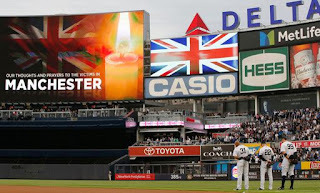 The night just continued to go downhill for the Yankees. During the top of the eighth inning, Whit Merrifield hit an insurance shot to right field off Jonathan Holder to give the Royals a 4-2 lead. 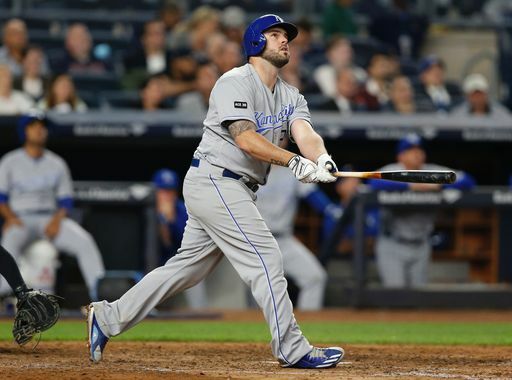 The runs would continue for the Royals, Mike Moustakas hit a two-run shot just over the right field wall to give Kansas City a 6-2 lead after eight. The Yankees would fail to score any additional runs and ultimately fall victim to the Royals late inning surge. 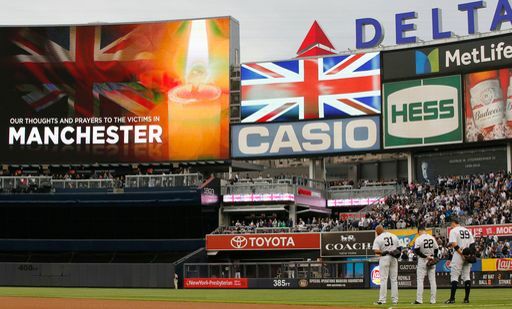 Tomorrow night, the Yankees play the third of four games against the Royals in Yankee Stadium 7:05 PM ET. Luis Severino (2-2, 3.64 ERA) will look to continue his excellent start to the season and he will be opposing Jason Hammel (1-5, 6.20 ERA).